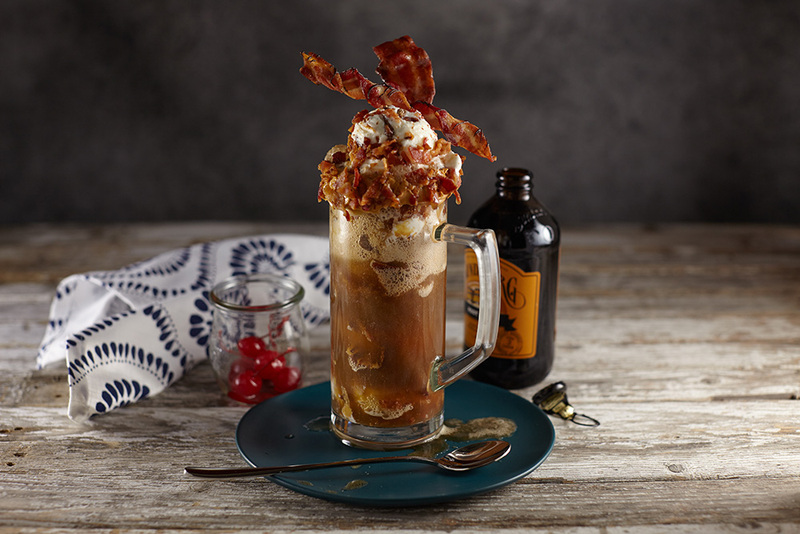 A large bacon-rimmed mug is loaded with peanut butter ice cream coated in crispy bacon bits, smoky candied bacon, chocolate-covered bacon twirls and ice-cold root beer soda. Scoop three #12 scoops of Blue Bunny PN 'n Cones Ice Cream into prepared glass. 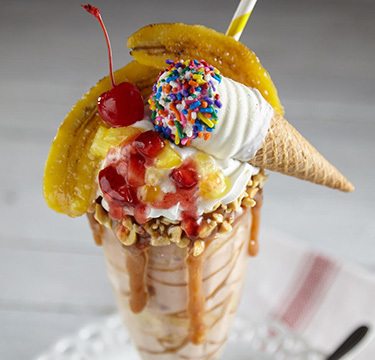 Top with root beer. Gently place candied bacon into float. Balance chocolate covered bacon twirl across the top of float. Serve immediately. To make chocolate bacon twirls, wrap raw bacon around thin aluminum foil cylinders and cook until set and crispy. 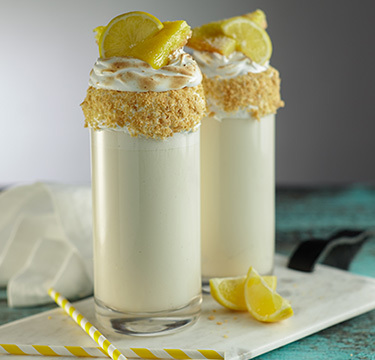 Cool completely, then drizzle with semi-sweet chocolate. 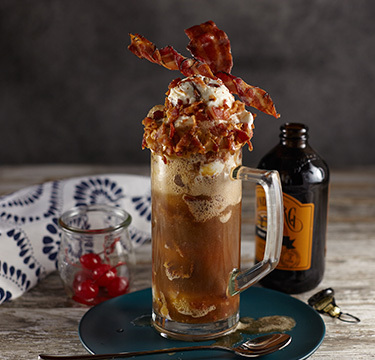 For an extra-bacony float, roll scoops of Blue Bunny PB ‘n Cones ice cream in additional chopped bacon and hold frozen.